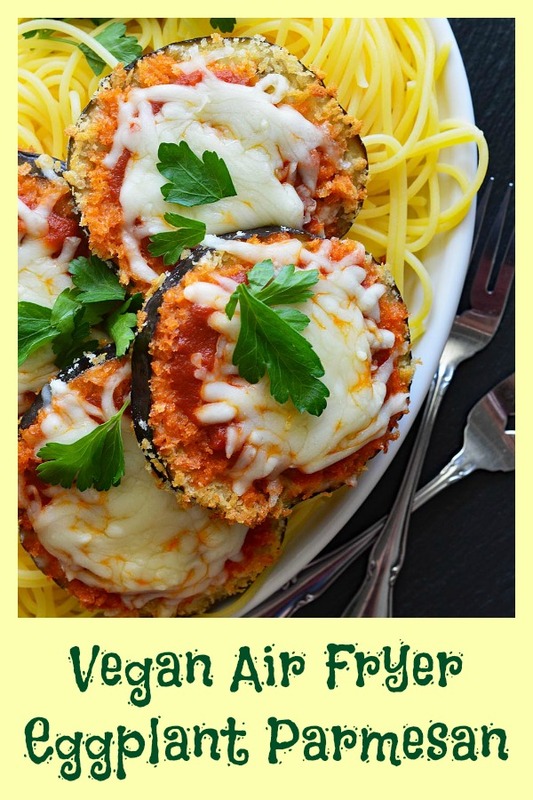 If you follow me over on my sister site, Living Vegan, you may have seen me playing around with recipes using my new Air Fryer. I made Air Fryer Fried Turmeric Cauliflower “Steaks” and Golden Turmeric Air Fryer Falafel. 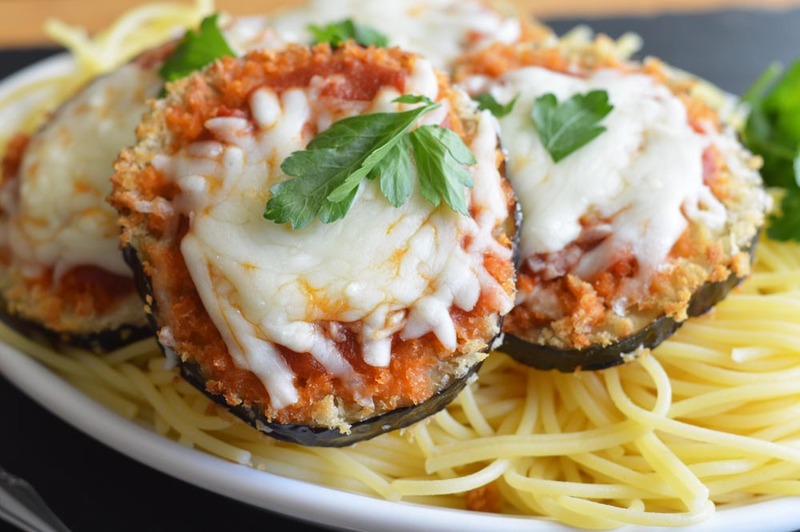 Today, I thought I would try out Vegan Air Fryer Eggplant Parmesan and it came out perfectly! 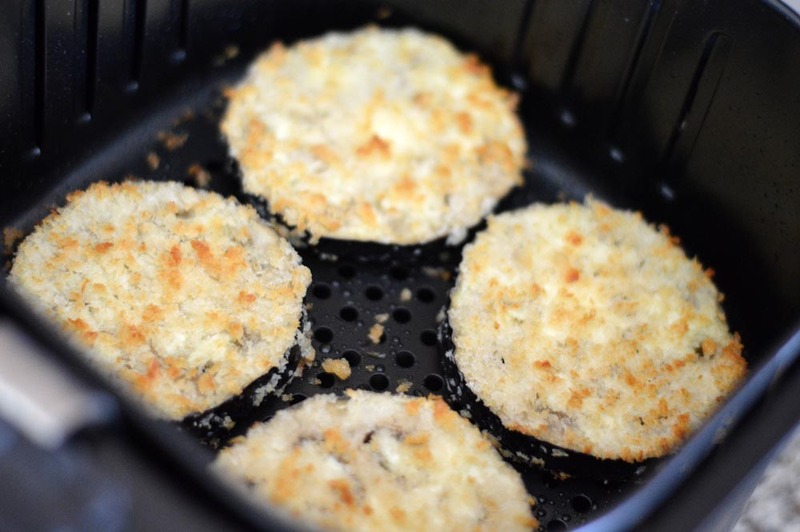 Today I’m giving the Avalon Bay Air Fryer a try (you can check out my full review here). New Air Appliances was kind enough to send me an Avalon Bay Air Fryer 230-B for the purpose of this review. I ended up bumping up the temp to 390, flipping the eggplant halfway through the 15 minutes. Coat in flour (and shake off any excess), then into almond milk and finally, into panko bread crumbs that I have mixed with vegan parmesane (I also added herbs). You can leave the skins on or peel them. I don’t mind them and they are entirely edible. As you can see, we got a pretty nice coating going on here. 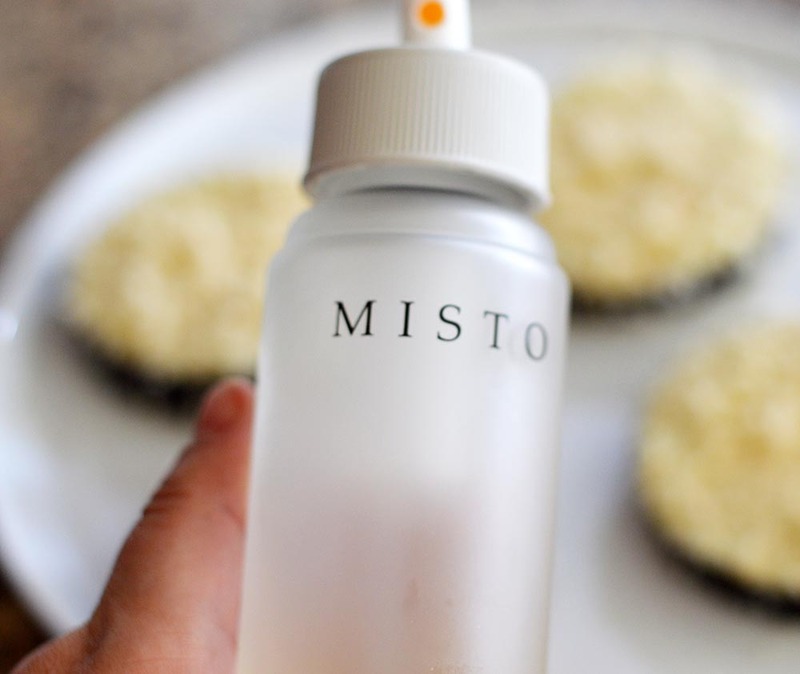 You can make this recipe without oil, but I have been using this olive oil mister (which I am absolutely obsessed with). It gives just a very light mist of oil and it’s how I am attempting to decrease my own use of oil. I think the oil really gives you some nice, crispy edges. I flip halfway through and that’s it! 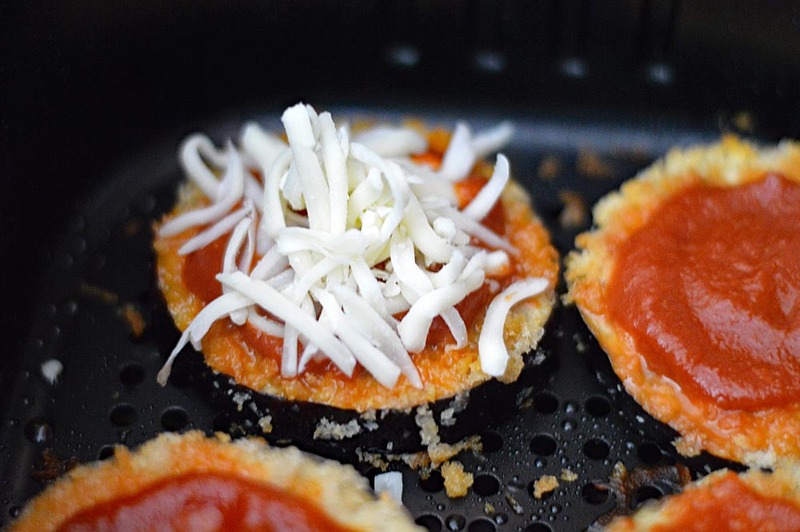 Just a few more steps to get our air fryer parmesan. I decided to spoon my marinara sauce over the air fried eggplant. …and serve over spaghetti. 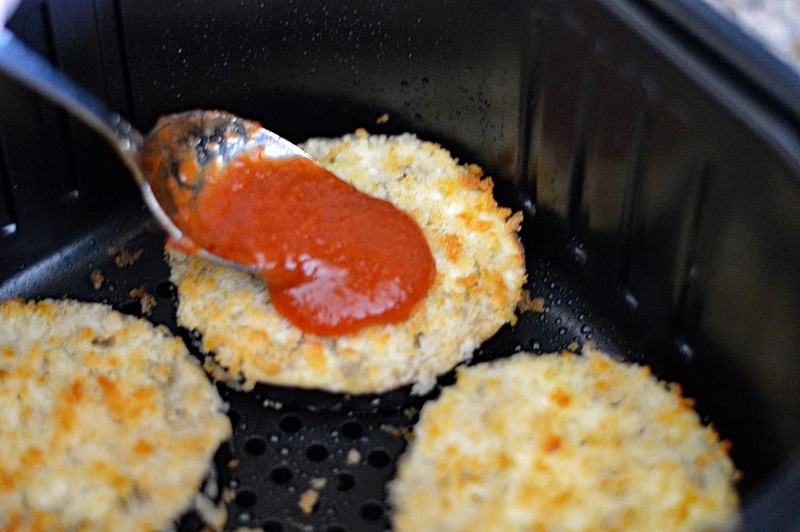 You can always serve with more of the marinara sauce heated up in a pan on the stove. 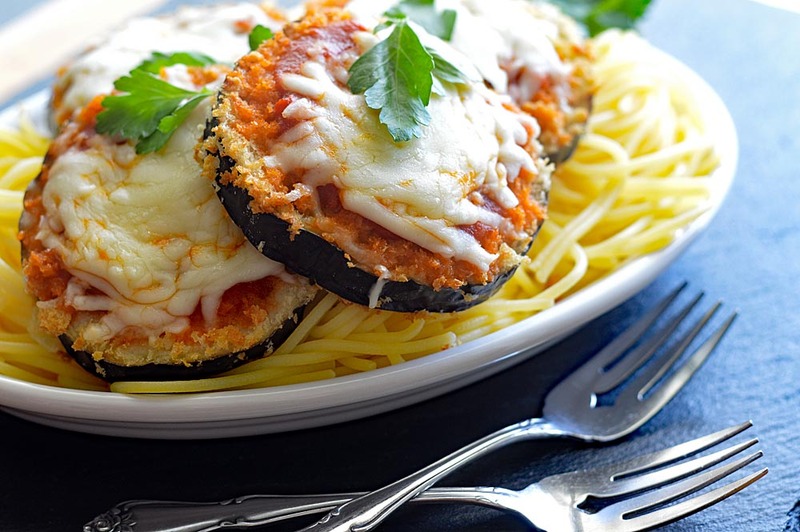 Did you make this recipe for Vegan Air Fryer Eggplant Parmesan Recipe? Leave me a comment below and let me know what you thought. 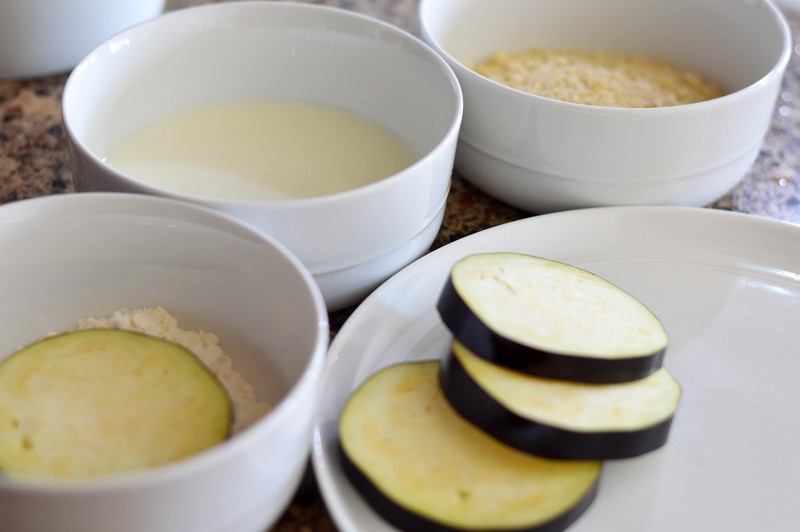 Wash, dry and remove stems of eggplant. Create slices. 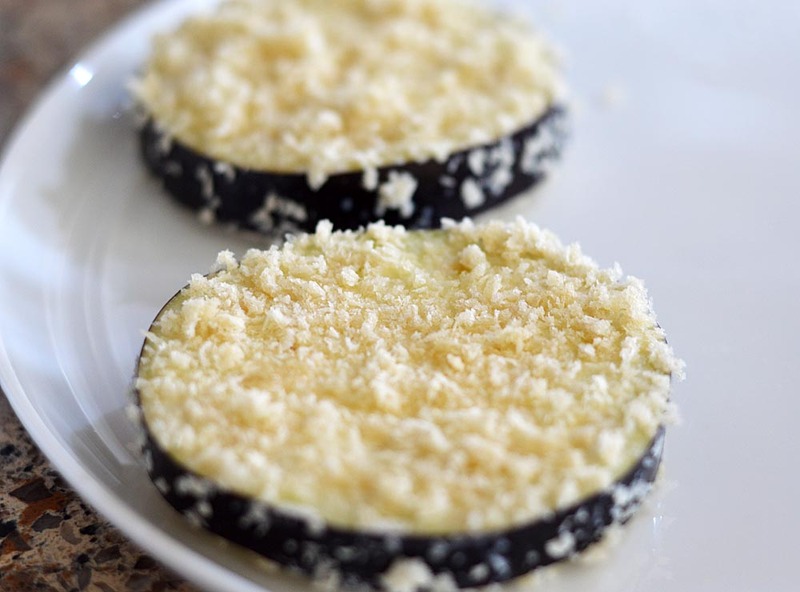 Dip the slices into flour, then almond milk and finally, the panko bread crumbs that you have mixed with the vegan parmesan, salt, pepper, garlic and onion powder. Spray lightly with oil (if desired) and place into the basket of an air fryer at 390 degrees for 15 minutes, flipping halfway through (spray the second side lightly). Alternately, you can do this all in the oven at 400 degrees. 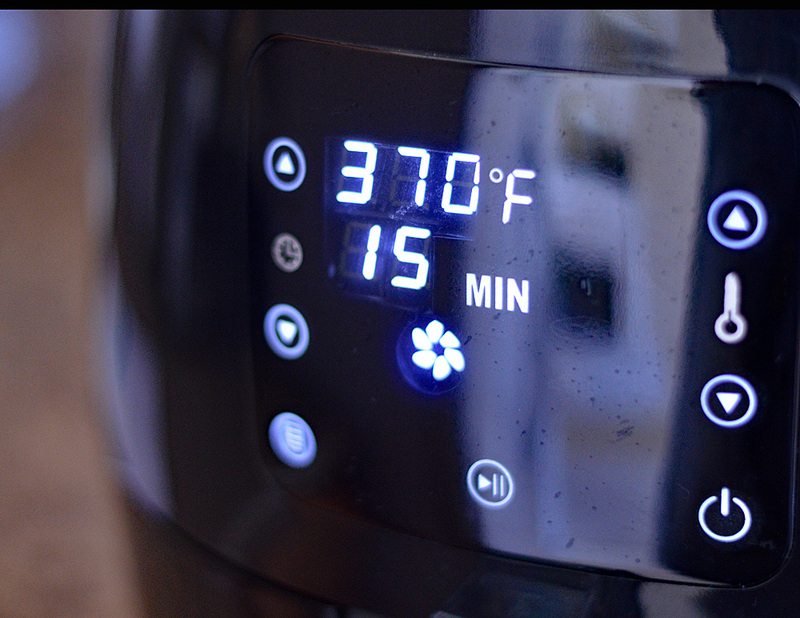 Cooking time may vary since air fryer's use a convection type cooking method. Just keep an eye on them. 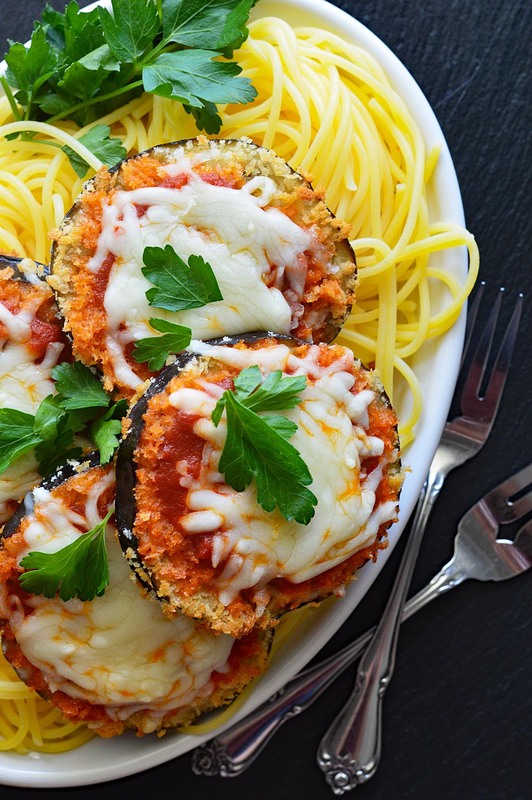 While the eggplant are cooking, go ahead and cook your pasta. Once golden on both sides, spoon on some of the marinara and top with a combination of the two vegan cheeses. 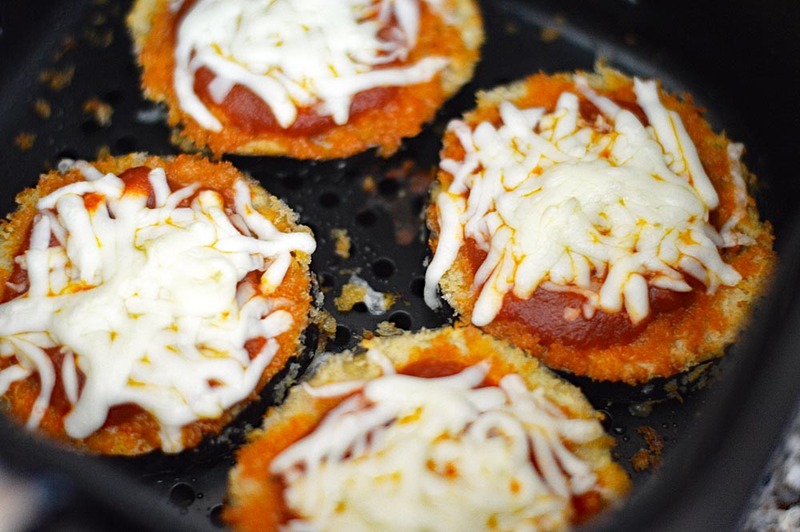 Cook just until the cheese begins to melt. Serve with the pasta (and extra sauce), garnishing with fresh parsley and perhaps another sprinkle of the vegan parmesan. Enjoy! 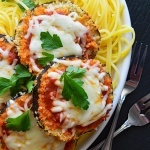 Thank you for this lovely and delicious recipe, my family loved it!! I’ll be making it again this week!! What a delicious dish it has become. At first I was a bit hesitant, but I followed your instructions well and enjoyed it with the family! Thank you!! These cooked perfectly! Great crunch on the outside and soft deliciousness on the inside!